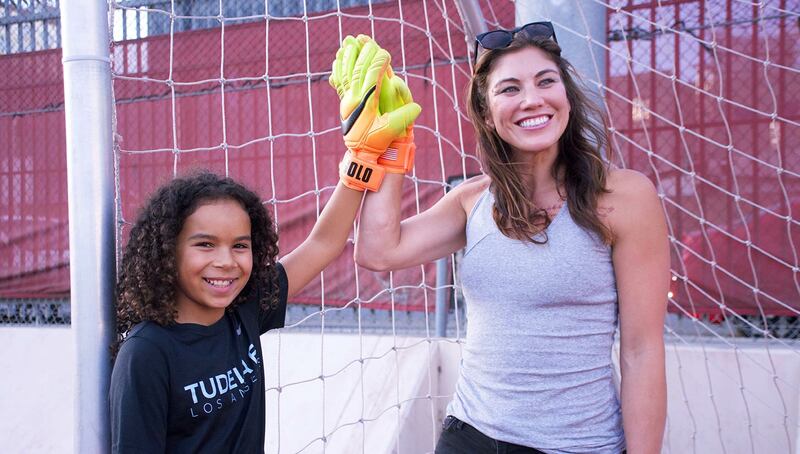 In an effort to empower young girls and spread the message of the all-inclusive model of the Tudela FC LA club, USWNT icon Hope Solo will spend time with the organization as a mentor while also promoting the team’s mission through her social media channels. Hollywood High School sits about 1,000 feet from Hollywood Boulevard. The strip, with its tourists, celebrity look-alikes and countless souvenir shops, usually has a presence that demands attention. 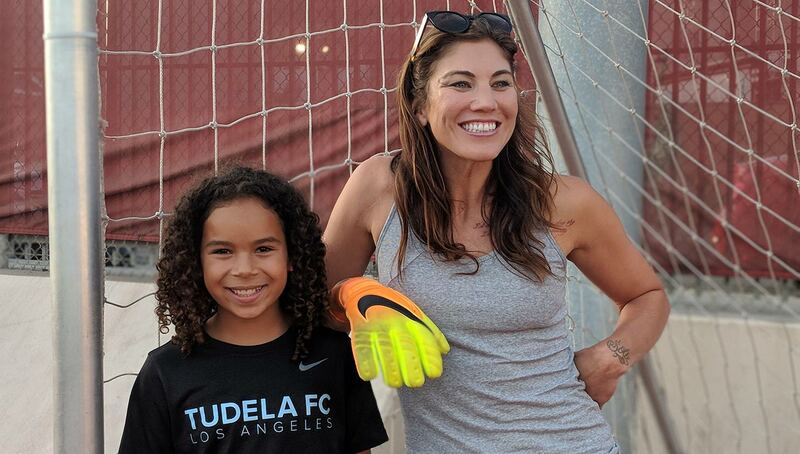 However, when the girls of Tudela FC LA soccer club are practicing, the boulevard’s loud demeanor is quickly subdued as it fades into the background to make room for a David and Goliath story fit to rival any Tinseltown film. 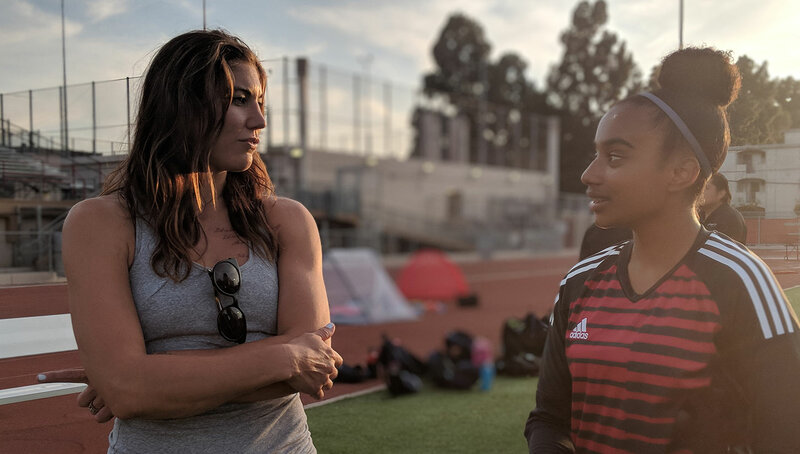 It’s under the lights of the Hollywood High football stadium where TFCLA are hard at work, not only training to be better soccer players, but pushing to create a more inclusive soccer experience for themselves and generations to come. Their plight has caught the attention of a fellow advocate of the sport — you may have heard of her. Solo is referring to the all-inclusive ethos TFCLA holds in regards to their players. The club works under a hybrid pay system that resembles more of a sliding scale than the usual pay-to-play club model. The fees for the team are outlined, but a player is not barred from playing if she can’t afford the costs. Scholarships, grants and fundraisers help make up any costs, and those on the team who can give more, usually do. 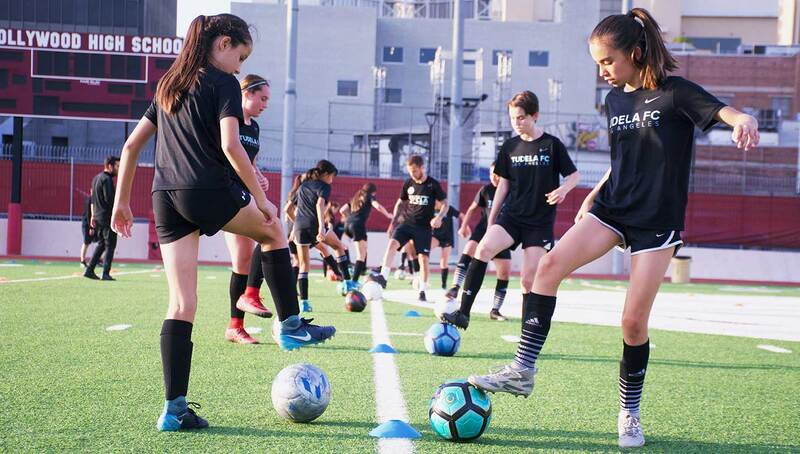 Because of this system, TFCLA has been able to build a competitive program for girls aged 9-13 and a fully subsidized recreational program for girls of ages 6-8. 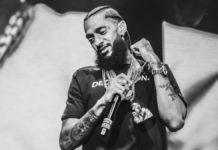 Solo’s involvement with the team will help cultivate their talent and tenacity through mentoring and visits to the girls throughout the season. 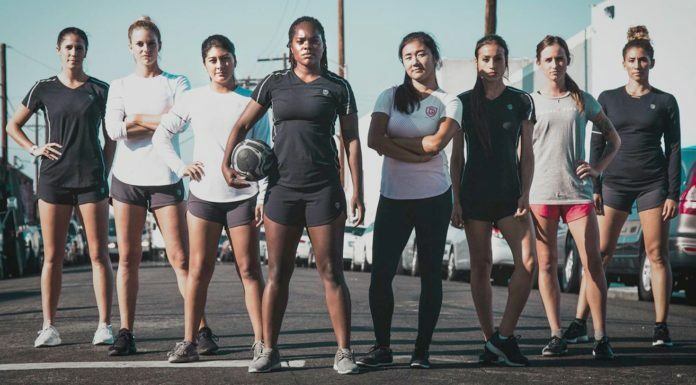 Solo will also promote the team via social media and other outlets to help shed light on their similar goals, including providing more opportunities for girls in soccer and reaching out to communities beyond just the privliged. 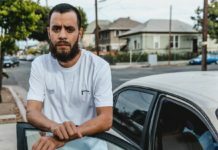 The idea that an individual should be able to better themselves regardless of where they come from is ingrained into TFCLA. The team fosters players from all over the city and practices in Hollywood to accommodate families coming from any neighborhood. The club was founded in 2017, but its origins go back to 2014 when Tudela was approached by a group of parents to train a few girls. 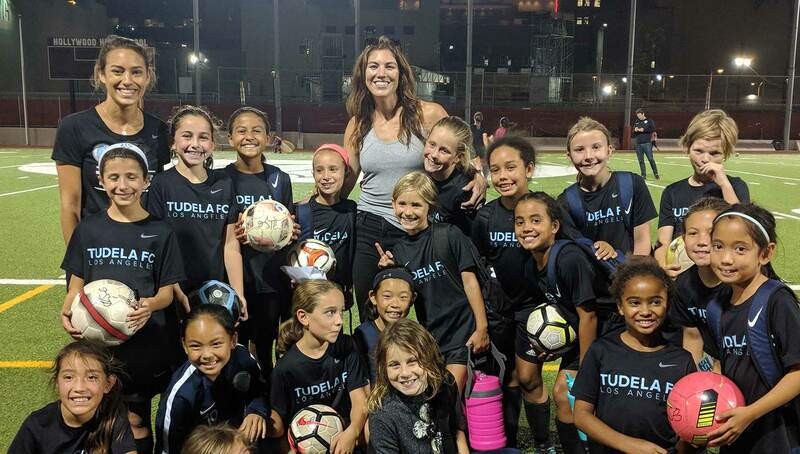 Because of his extensive experience as a player and coach, and the son of a successful club director and coach himself, Tudela had the background and luckily the time to provide an ecumenical training environment for the girls. Word quickly spread after parents saw how much of a positive impact the training had on the girls, and training sessions of four or five players soon turned into a full-fledged team. 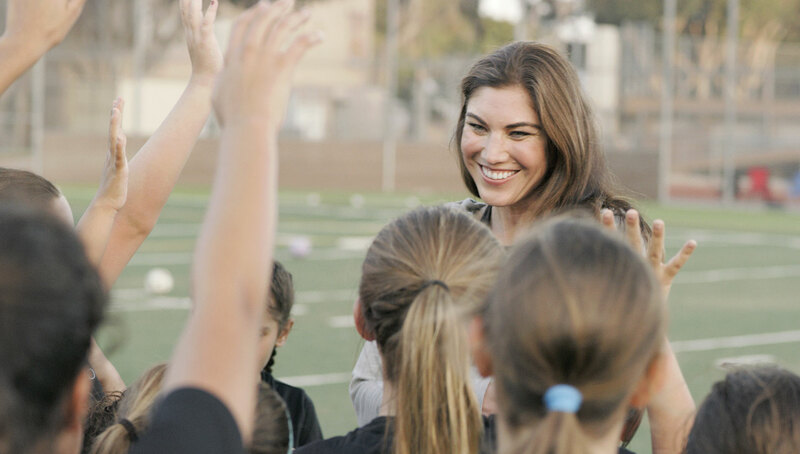 On the field, the girls find their voice and self confidence. They learn how to be winners. 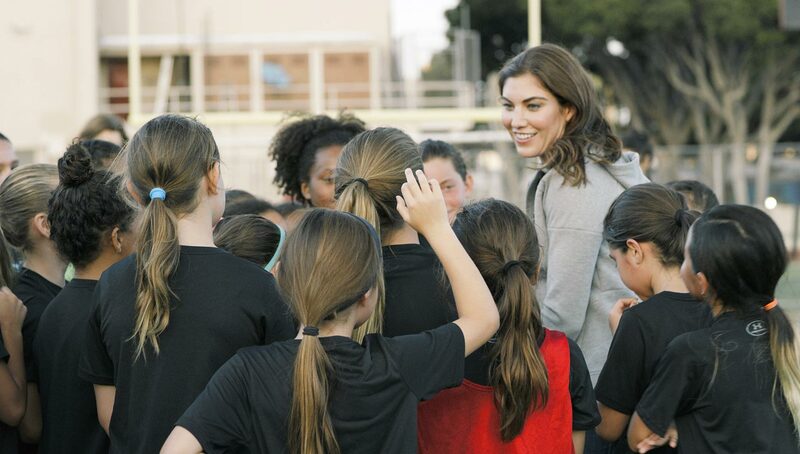 The all-girls atmosphere allows them to have access to resources that would often be given more to the boys’ side of a club in a mixed program. Tudela FC LA youth academy director and coach Chelsea Braun addressing her players. TFCLA pushes its girls to be leaders, but more importantly how to interact and get along with individuals from different cultures and socioeconomic backgrounds. Each girl brings something unique to the field, and that transcends the pitch. With Solo on board, TFCLA are looking to continue their advocacy for an inclusive, equal playing field. Solo herself has been battling giants of her own along with some of her former teammates. In March, 2016, they filed a complaint with the U.S. 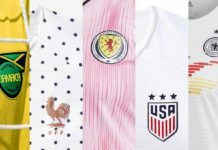 Equal Employment Opportunity Commission, and just recently, Solo sued the U.S. Soccer Federation accusing the organization of paying its female players a fraction of what it pays their male counterparts, therefore violating the Equal Pay Act. Their fight has not been an easy one, but it’s one that Solo hopes will lead to progress for future generations of female soccer players. 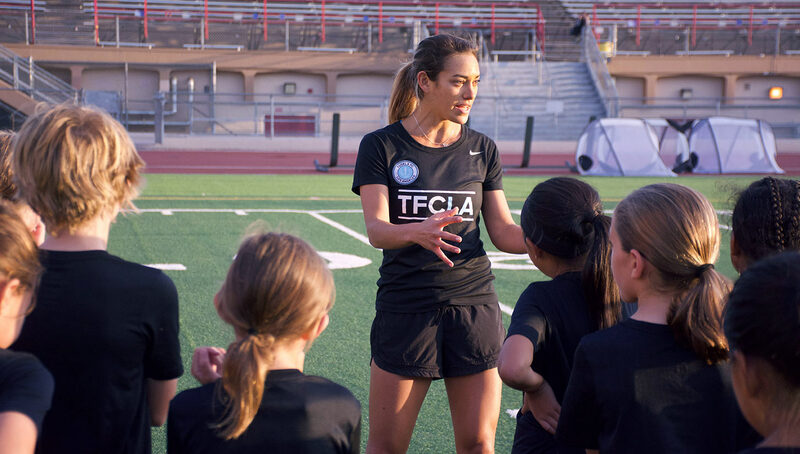 Ultimately it’s the intrinsic desire to bridge the gap for future generations that inspires Tudela, Braun and Solo to dedicate their time to the girls of TFCLA. More than just getting girls on the field and playing, they want to dare them to be great. Photography by Patricia Sanchez for Urban Pitch and Jerry Ying for Hope LA. Video by Jerry Ying for Hero LA.